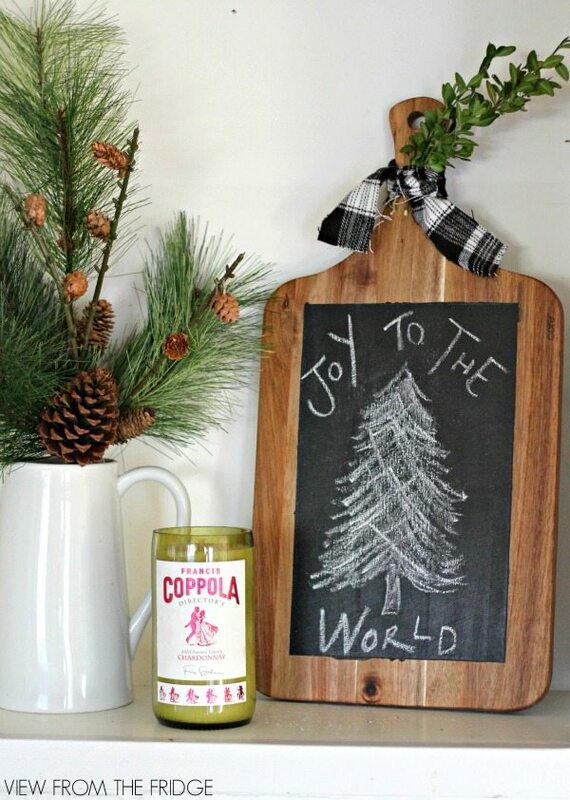 Am I jumping the gun on Christmas crafting? I might be, BUT this is as long as I could hold off!! 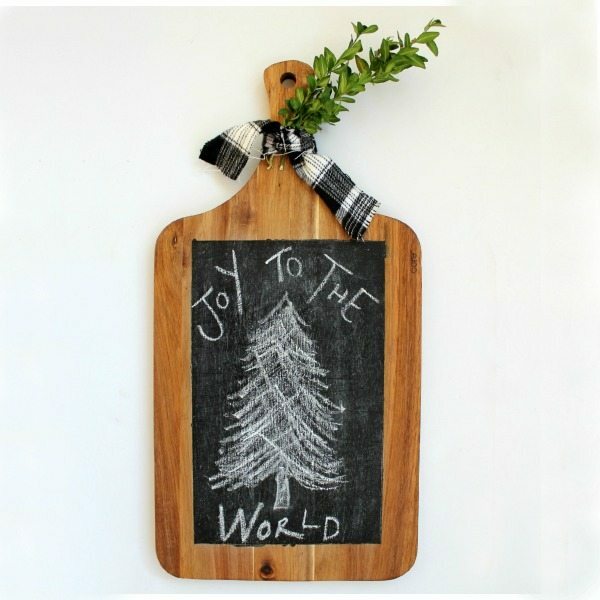 I love Christmas and everything that comes with it! 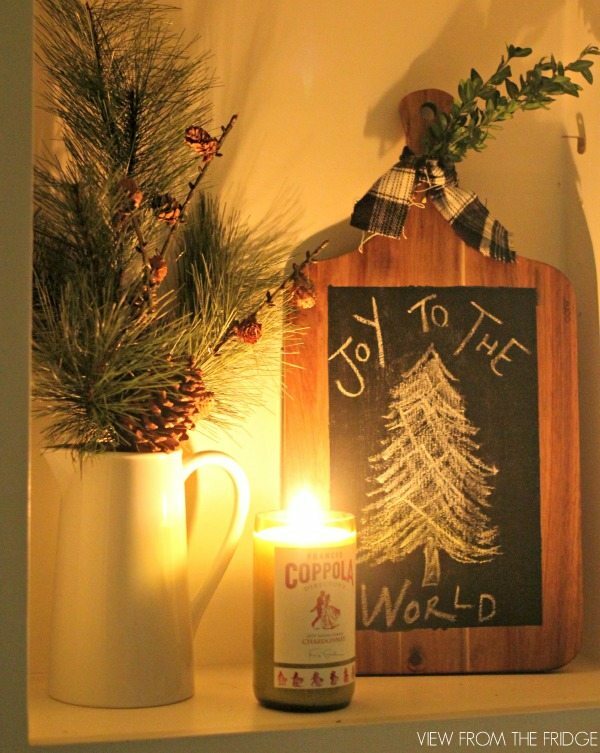 I love putting up the tree, decorating the house, hanging the stockings, and burning Christmas scented candles! Last year we went a bit overboard on the red Christmas decor, so this year we’re taming it down a bit and going with a black, green, and white … and much more simplistic … color scheme. 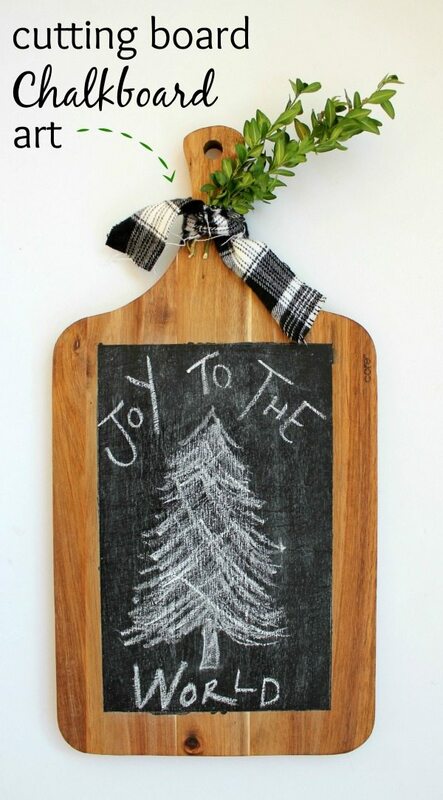 Today, I’m here sharing one of our newest holiday projects … Cutting Board Chalkboard Art! 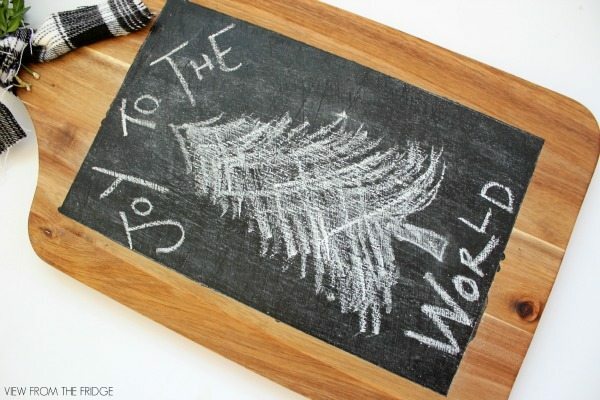 This is a quick and simple project that can really be used year round … and customized to any color scheme or decor! 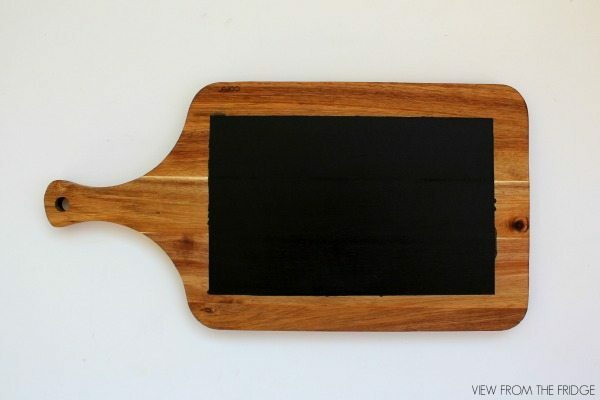 It’s also relatively inexpensive … especially if you can find a thrifted cutting board! Ours, however, came new from Target, and can totally still be used on the reverse side as a serving platter (I kinda like it as decor, however). 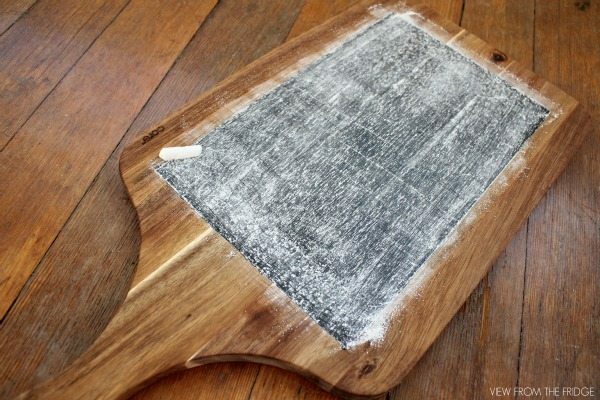 Tip: Paint one thin coat of chalkboard paint with vertical brush strokes and allow to dry 30 minutes. For the second coat, paint with horizontal strokes, allow to dry. Continue alternating directions until area is well covered. 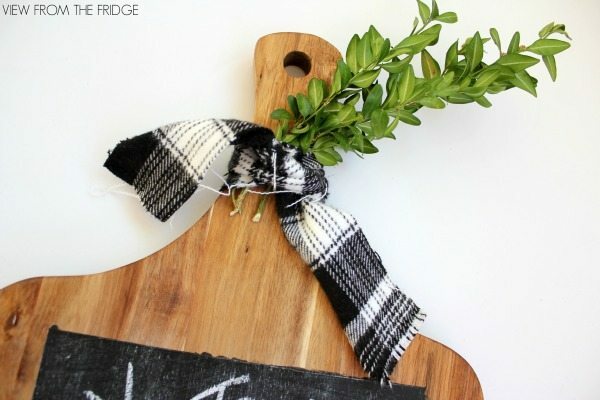 We used some left over flannel fabric from our Flannel Coasters and a sprig of real boxwood. How about you … have you started your holiday decorating or are you strict on the waiting-til-after-Thanksgiving-Christmas-decorating-policy?